The Sarasota Association of Realtors reported its MLS data for December 2009 last week, and Sarasota is doing quite well. There's been a significant trend upward in its real estate market. Sarasota MLS listings are being shown multiple times, mutiples offers on properties prices correctly happen every day, Buyers are still looking for good deals on Sarasota waterfront homes and condos for sale and finding them. 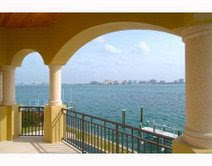 The holiday season in this coastal resort was outstanding with international buyers seeking Sarasota relaxed lifestyle. St. Armands Circle's business was brisk as visitors browsed for clothing, accessories, gifts and enjoyed the holiday decorations. The real estate stats for the month of December 2009 reported for Sarasota real estate continues to show that Sarasota's waterfront real estates market is on a comeback! Are you searching the Sarasota MLS for waterfront homes and condos for sale? We can assist you with your purchase! Ask us for information about Sarasota neighborhoods, activities and events? Send us an email and we'll direct you to a great source for all your information needs about Sarasota, Florida. You can check on what's happening daily in Sarasota! Continue searching the Sarasota MLS for Sarasota real estate or let us iniate a search for you. Call Annette Smith (941-504-3922) or John Allen (941-544-6467) or send us an email with your parameters and price range so we can put you in our system for Sarasota properties.